The Newell Rd intersection with Cambridge Rd. A NZTA consultant’s report includes options from closing the intersection completely to restricting it to left turn out and in. The Tamahere Community Committee, which has considered the consultant’s report, rejects the proposal to close the intersection and favours the left turn out option only. 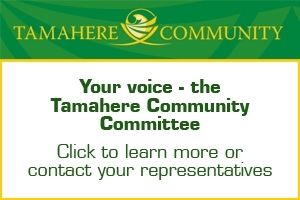 For more information or to share views contact Tamahere’s Waikato District councillor Aksel Bech or members of the Tamahere Community Committee. All contact details here. The meeting is to be held on Monday, May 21, from 3pm to 7pm in the Tamahere Community Centre. Good to see the discussion here on the Forum -if you live on Newell or one of the many side-roads, do please come along on Monday afternoon (THIS Monday 21 May, from 3pm to 7pm) in the Tamahere Community Hall. 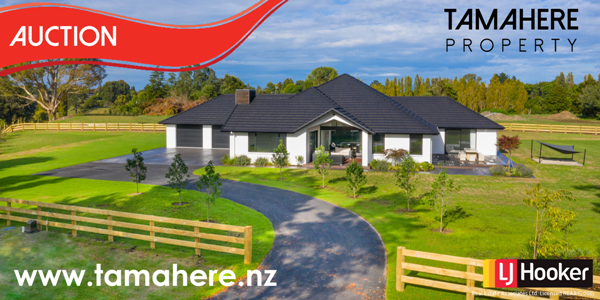 NZTA/City Alliance and Waikato District Council will be there to discuss the options being considered -with what they regard as the pros and cons for each option for you to consider in expressing your preference. I will also be there and happy to discuss this or any other Council-related issue you might have. And finally, whether you can come along or just review the information that is provided in the links above -do please have a say on your preference. The status quo is not an option with the major upgrade to Cambridge Road/existing SH1 as it becomes the off/on ramp to the Expressway -so the northern end of Newell Road WILL change. By my count there are some 220 houses in that area -and you will all be affected by the outcome so please make your view heard. If you live on Newell, one of it’s side roads or are a regular user I urge you to have your voice heard so that we as the community can influence what happens here in our little corner of the world. 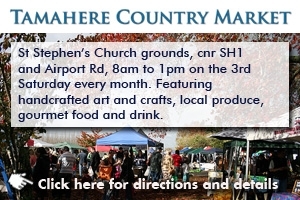 Please note that feedback needs to be directly to WDC, either on the forms available at the info session to be filled in, delivered to letterboxes in the directly affected area OR available on the Council’s Website from Monday at : https://www.waikatodistrict.govt.nz/your-council/public-consultations by 28 May 2018. I support a left turn only but would like to see it revert to how it was a few years ago. That is, a lane that merged with Cambridge Road. This option was taken away and now courteous north bound drivers slow down and sometimes stop to let Newells Road residents exit creating a tail back often way past the airport turn off. If a merging lane is done properly, it would be a much safer option and would keep the traffic moving. I think right turning from Cambridge Road to Newells Road should be discontinued as it is too dangerous to cross the 80km traffic from a complete stop. It creates traffic blockages and tailbacks going south at peak hours and the courteous north bound drivers still stop to let them cross again creating another tail back in the evenings. Traffic congestion is not limited to peak hours Mon-Fri but is now occuring on the weekends. The number of residences on Newells and surrounding roads has increased dramatically in the last few years but safely exiting the area has not been addressed. This is a timely opportunity to get something done. Surely once the new ring road intersection is complete there will not be so much traffic coming out of Newell Rd. Hi Judy Chandler here. We have lived on the corner Newell Rd- State H Way One for 60 years, overlooking car wreckers. Originally two lanes St Highway One, way back. Then were three lanes. I’m talking MAJOR accidents here – over the years we been here –BEFORE the median strip, I personally have attended four fatal accidents (maybe even five) and one major bad one not fatal, but the noise of it happening killed our daughter’s pony. Having the median strip stopped these major accidents I thought . So what will happen with four lanes??? We always use the left turn into Newell Rd when coming back along State Highway One from Cambridge side and all East works really well..